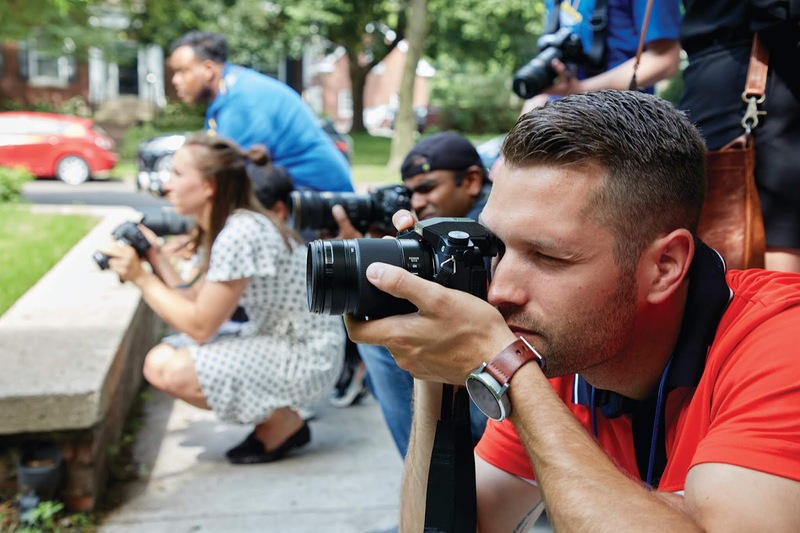 These will be half-day excursions where you’ll get the opportunity to work with pro photographers & the Camera Experience Shop experts to conduct 4 individual photo shoots. Which sounds so exciting! At the end of the day in addition to lunch you’ll get a bag of camera goodies and I think the best part is, if you share your photos on social media with the #BestBuyPhotoWorkshops hashtag, you’ll be entered to win Best Buy gift cards or a dream photography package! The events cost $50 – but you’ll easily make this up with the giveaways, lunch, transportation, and the priceless opportunity to work with pros! I think it's well worth it! Are you a little unsure about all this? Do you want to improve your photo game but you’re not quite ready for the Tours? If so, then start with a free in-store photography workshop! ** Once you’re done, take the next step into the upcoming Photography Workshop Tours on 10/20 and 1/19. You can sign-up to be notified when these go live for registration in the fall/winter. This is all possible thanks to Best Buy’s Camera Experience Shop. There’s an extended variety of cameras, lenses & accessories that you won’t find in other locations. Plus you can get hands on with all the cameras & test and try them in the store to get a feel for what you like, get comfortable with and try them out for yourself!